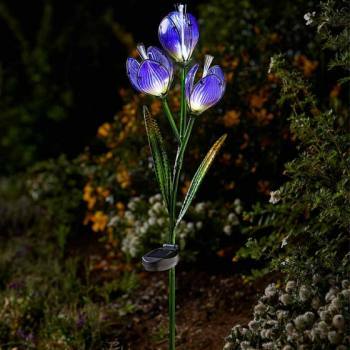 These solar-powered lights feature high-performance solar cells and LEDs. The solar cells charge the battery during the day. When it gets dark, these solar-powered lights come on automatically. The LEDs provide virtually unlimited lifetime and high efficiency.